It’s no surprise … Bank of Luxemburg supports financial literacy programs for today’s young people. We have employees that regularly visit local high schools like Luxemburg-Casco to teach our community’s youth about budgeting, saving, and balancing checkbooks among other important financial skills. 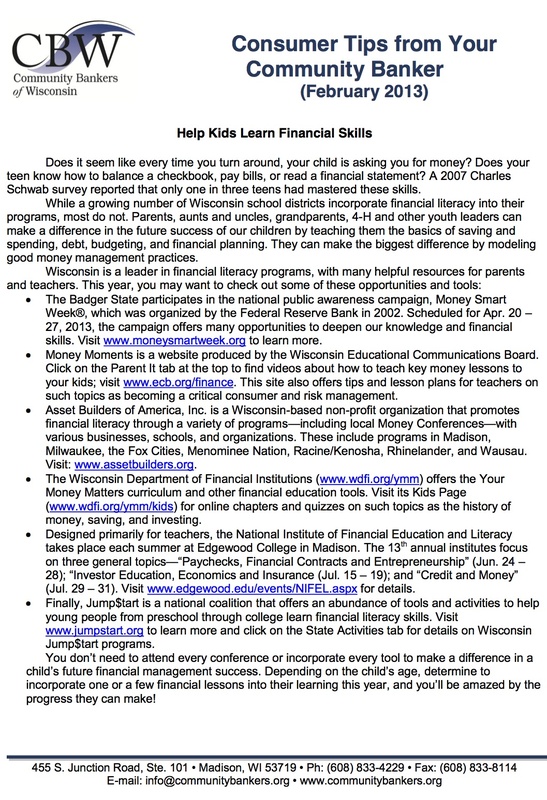 The Community Bankers of Wisconsin agree that teaching our youth financial literacy is an important, yet often overlooked, area and offer some websites and workshops to help parents take control.